We design innovative technologies that power millions of intelligent devices, from personal computers to cloud servers and more. Helping Singaporeans lead longer, healthier, better lives so that they can live life confidently. Help our people live a long, healthy life and support them with thoughtful, dignified care to the end. Amazon.com, Inc. engages in the provision of online retail shopping services. Our Vision is to be a respected national audit institution – Professional, Independent, Effective. There is no great company without a great purpose: Ours is to empower people to live a better life. Bain is a consulting company that has helped management teams across all types of industries create high levels of economic value. At Bank of America Merrill Lynch, our customers are at the center of everything we do. Barclays is a company of opportunity makers working together to help people rise – customers, clients, colleagues and society. To be the leader of exceptional client service. Bloomberg’s global mission is to help individuals, enterprises and governments make smarter, faster, more profitable decisions — first. The bank for a changing world. We pursue perfection and strive to brew better beers that stand at the heart of moments and bring people together. To enable Singaporeans to have a secure retirement, through lifelong income, healthcare financing and home financing. CFLD International is one of Asia's Top 50 Listed Companies* and an international leader in providing integrated urban developments. To be the world's leading airport company, growing a safe, secure and vibrant air hub in Singapore and enhancing the communities we serve worldwide. CHARLES & KEITH Group owns two fashion brands – CHARLES & KEITH and PEDRO. The Group is headquartered in Singapore and operates more than 600 stores. Bringing Digital Executives together to grow and learn from their experience and engagement with the OpenGov platform. Citi's mission is to serve as a trusted partner to our clients by responsibly providing financial services that enable growth and economic progress. At Cognizant, we believe those who challenge the way they work today will lead the way tomorrow. To maximise the share of people who want a career built on professional accounting skills. A leading wealth manager with strong investment banking capabilities. The CSA is the national agency overseeing cybersecurity strategy, operation, education, outreach, and ecosystem development. Inspired people, bringing innovation to all we connect. Our vision is to be The Logistics Company for the World. Our mission – Excellence. Simply Delivered. – is our guiding light. To develop technologies and solutions that can provide technological surprises to sharpen the cutting edge of Singapore’s national security. We transform every category we enter with radical and iconic reinventions that work, perform and look very different. To be a highly dynamic professional and valuable financial services organization in this region. To raise capable and respectable leaders who lead, inspire and motivate through teaching skills, refining attitudes and developing character. ExxonMobil Asia Pacific Pte. Ltd.
We hire exceptional people who are empowered to think independently and be innovative. Buy Global, Locally. Shop millions of products from China, USA, Korea, Taiwan, Local & popular online shopping sites such as Taobao & Amazon. VISION: Caring Through Fresh Solutions And Fair Value. MISSION: Fairness in Healthcare. Design to global delivery through Sketch-to-Scale™ solutions, automotive electronics manufacturing, cloud solutions, and consumer technologies. Building, powering, moving and curing the world by transforming the industry with software-defined machines and solutions. Our Vision is to reshape the semiconductor industry through collaboration and innovation. To be Your Preferred Warehousing & Transportation Partner! The Goldman Sachs Group, Inc. is a leading global investment banking, securities, and investment management firm. To make life great by providing financial security, and promoting good health and meaningful relationships. Connecting people with the right opportunities to make them more productive and successful. To create the most compelling and ardent, marketing approach for our clients. To be the omnipresent company, in the modern world of direct marketing. Our vision is to see a nation of healthy people. honestbee's vision is to become the world's most convenient services marketplace. Life's just easier with honestbee. An outstanding organisation with people committed to fulfilling aspirations for homes and communities all are proud of. Content driven digital marketing agency who brings lead and sales for SMEs in Singapore. IHS Markit is a world leader in critical information, analytics and solutions for the major industries and markets that drive economies worldwide. At Income, we are ‘In with You’ on Performance, Growth, Innovation and Impact. The Institute of Singapore Chartered Accountants (ISCA) is the national accountancy body of Singapore. Intel invests at the boundaries of technology to make amazing experiences possible for business and society, and for every person on Earth. Local expertise. Global resources. A commitment to Singapore. About us. Jones Knowles Ritchie is a global brand design agency with 26 years of experience in creating brand growth through the medium of design. Driving value chains through people, expertise and technology. A thrilling experience, a culture of excellence – this is your adventure. The Lagardère group is a global leader in content publishing, production, broadcasting and distribution. Launched in 2012, Lazada is the number-one online shopping and selling destination in Southeast Asia. Anyone can make a pair of blue jeans, but Levi Strauss & Co. made the first blue jean. One of the world's leading film and television production companies. Decisions made easier. Lives made better. Mapletree is a leading real estate development, investment and capital management company headquartered in Singapore. To provide our clients with the information and insights they need to sustain a valuable competitive advantage. A leading maritime agency driving Singapore's global maritime aspirations. We are the global technology company behind the world’s fastest payments processing network. Maybank Singapore offers a wide spectrum of investment, corporate & personal banking services like credit cards, deposits, loans & much more. We are a global management consulting firm that serves a broad mix of private, public and social sector institutions. As Singapore's leading media company, MediaCorp has developed an almost complete portfolio of media platforms. Ready to shape the future? Let’s join forces. Our mission is to empower every person and every organisation on the planet to achieve more. The mission of MINDEF and the Singapore Armed Forces is to enhance Singapore's peace and security through deterrence and diplomacy. Shaping the nation, one student at a time. Our mission is to create a better Singapore through Finance. At the Ministry of Foreign Affairs, we ensure Singapore’s relevance and create “strategic space” to safeguard and advance Singapore’s interests. The MOH’s vision is to champion a healthy nation where our people live well, live long and with peace of mind. To work as a team, in partnership with the community, to make Singapore our Safe and Secure Best Home. We are professionals with a passion for people. MAS is at the forefront of Singapore's rapidly growing financial industry, creating new policies and initiatives. The NEA develops and spearheads environmental initiatives and programmes through its partnership with the people, and public & private sectors. We are one of the world’s leading media and entertainment companies in the development, production, and marketing of entertainment, news and info. A thinking organization that makes payments Simple, Efficient and Stress-Free for Consumers, Merchants & Partners. OCBC Bank is the longest established Singapore bank, formed in 1932 from the merger of three local banks, the oldest of which was founded in 1912. We sell advertising and communications services to the world’s greatest brands. Our mission is to become a premier IT service organisation providing effective and efficient services to our customers. Philip Morris Singapore Pte. Ltd. is the leading tobacco company in Singapore, which distributes and sells Philip Morris International (PMI) brands. To be the port operator of choice in the world's gateway hubs, renowned for best-in-class services and successful partnerships. To build trust in society and solve important problems. At Rhenus, trust is our greatest asset. Our vision is to create ‘better power for a changing world’. In Canada: To be the undisputed leader in financial services. In the U.S.: To be the preferred partner to corporate, institutional and high net worth. To be the leading hotel creating great customer experience. Our talents' happiness is the measure of our success. 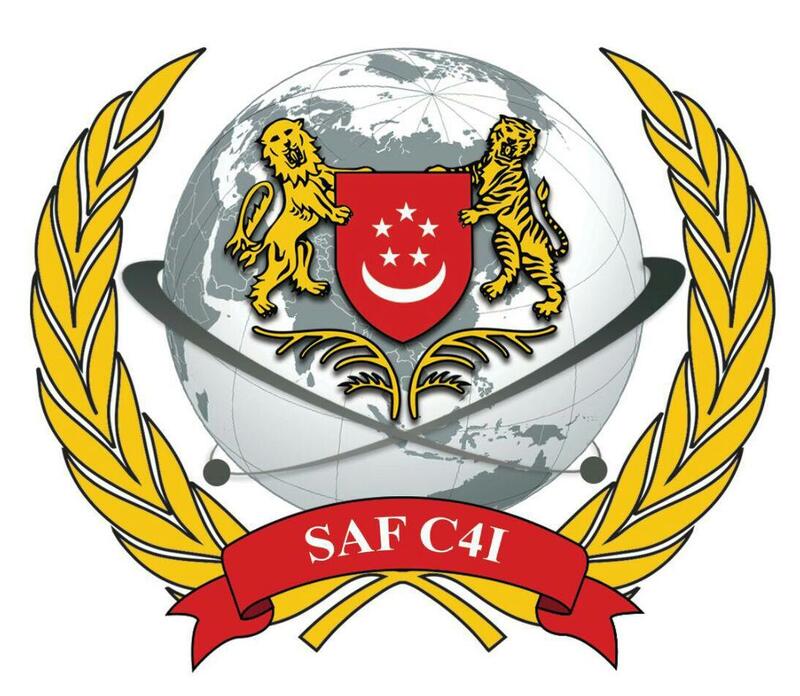 The SAF Command, Control, Communications, Computers and Intelligence (C4I) has transformed the SAF into a networked and knowledge-enabled force. Our technologies ensure that Life Is On for everyone, everywhere, at every moment. If you have the passion for aviation and the "Scootitude" DNA in you, we welcome you to join us for a limitless flying career! Our Mission is to better the lives of the consumers and small businesses of Greater Southeast Asia with technology. We set our sights on the bigger picture. The one with you in it. In search of remarkable students and graduates. We make real what matters. By reimagining the world around us and creating solutions to the most challenging problems. Fly high as an airline professional. Headquartered in Singapore, SGX serves customers all over the world through multiple locations. To be Asia's Leading Media Organisation, Engaging Minds and Enriching Lives. The Singapore Tourism Board (STB) is a statutory board governed by the Ministry of Trade and Industry of Singapore. Shape and drive the information age with Asia’s leading digital multimedia and solutions group. Founded in 1997 in Singapore, ST Engineering is a young corporation that has grown to become one of Asia's leading defence and engineering groups. We commit to making food safe and available, everywhere. The world leader in serving science. Ubisoft Entertainment is a French computer and videogame developer and publisher with headquarters in Montreuil-sous-Bois, France. Together. That's how we do things. Changing clothes. Changing conventional wisdom. Change the world. About UOB. ﻿. About Us. United Overseas Bank Limited (UOB) is a leading bank in Asia with a global network of more than 500 offices in 19 countries. Founded in 1907 as a messenger company in the United States, UPS has grown into a multi-billion-dollar corporation. Vault Dragon is the leading private EMR custodian in South East Asia, and we aim to redefine the boundaries of the Digital Healthcare industry. Protect. Inspire. Enrich. Join us to make a WILD difference!